Further, a child who is in preschool may not perform the best to his or her abilities on cognitive tests due to many reasons. Perhaps the child at this age has problems concentrating, or is shy to show what he or she knows? I remember one of our professors mentioning that research has shown IQ tests to be less accurate predictors of learning and achievement before the age of 6. Perhaps this research should be taken into consideration before we test yet another child in preschool. 1.Should we expose preschoolers to any cognitive testing? 2. Do you feel that intelligence tests are adequate for a child that is only 4 years old? 3. Do we as nation like tests so much that we have structured society around them? This blog was created by Tjasa Korda. I think that cognitive testing can play a role in the assessment of preschool aged children as a piece of a multimodal assessment. This being said, the results clearly are not necessarilly indicative of the child's IQ nor the level of cognitive functioning. At that young age, I feel testing provides information about the individual that should be considered amongst a variety of other informational sources in order to delineate any potential weaknesses that can be easily rectified through RTI implementation. I agree with Courtney. If IQ testing is done on a preschooler, that can be used as part of the picture that we are looking at, but obviously is not the only tool. 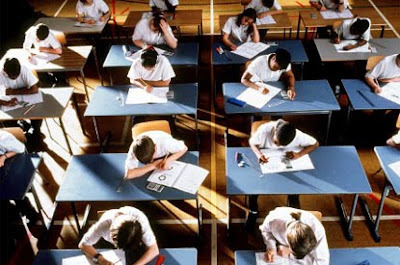 Testing in general, in my opinion, has become way too much of the focus in schools. Teachers are sometimes only teaching to the test and there is too much pressure put on the children because of the testing. I remember as a kid not really caring about the formal testing that went on in school, but nowadays it seems that the stakes are much higher. I just don't know if we, as a society, realize the consequences of all of this. I believe that intelligence testing has been shown to be relatively stable throughout life. Neisser et al. in Intelligence: Knowns and Unknowns indicate that scores obtained at 18 correlated, r=.77, with scores obtained at age 6. I believe that cognitive testing has a place in making determinations for early intervention and diagnosis. I feel that we can look to them with relative confidence. Intelligence testing can provide a foundation for assessing the academic needs for a child. As Roxane said, they have proven to be a fairly reliable measure of intellectual functioning. However, one must be cautious to consider other measure as well. Curriculum based measures and portfolio assessments are very useful tools when considering academic achievement. We should also consider what we are testing for and why. My supervisor at my practicum site wanted to test a child as part of the transition process from high school to post-high school. The child was adamantly against it. He said he had had enough of testing and that he knew that he wanted to be a mechanic. He had taken all of the licensing exams and was ready to start his career as soon as he graduated high school. My supervisor decided that she would not test him. And honestly, what is the point? He was tested 4 times over his school career! Again, as Roxane said, IQ remains relatively stable over time, so why in the world would we make this child sit through another round of testing? Diagnostic tests have become better determiners of potential problems in children's functioning. They can be used effectively with other measures of assessment. Nationally, we sometimes use tests as weapons and not tools. To the extent that we misdiagnose, misplace, and do not remedy, we have a problem.